Finding the right Larkspur mortgage company makes all the difference when buying a home. Why stress over the numbers and paperwork, when you can relax and let us handle the legwork for you. Whether you're a first-time home buyer, real estate investor, or simply moving to a new home, our in-house financing and variety of loan options will ensure that you receive the best mortgage program for your unique needs. 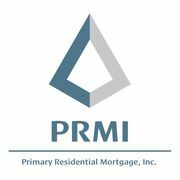 A personal message from Primary Residential Mortgage, Inc.
Rate and review Primary Residential Mortgage, Inc. in San Rafael, CA, United States! Share your experiences at Primary Residential Mortgage, Inc. with your friends or discover more Financial Services in San Rafael, CA, United States.